Bundle includes, double braced keyboard stand, piano bench and headphones. The New Korg B1 digital piano is the new replacement of the incredibly popular SP-170. With a built in stereo surround sound system that delivers full-range fidelity and enhanced low-end response, practise at home or create in the studio with a machine that sounds superb! The Partner mode is perfect for teaching family members or in tutor classes. 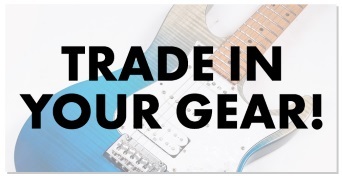 The built in metronome is easily adjustable and you have complete control over the tuning making playing with an additional instrument easier than ever. To achieve the deep, rich tones of an acoustic piano within its compact body, the B1 Digital Piano relies on KORG's servo-assisted MFB technology, a pair of full-range speakers, plus a passive radiator. Together, these elements reproduce the rich resonant tones that emanate from the large body of an acoustic piano, with particular attention paid to the low-frequency range. MFB (Motional Feedback) Technology - The built-in speaker system is equipped with MFB technology. This active servo system controls the movement of the cone, allowing low frequencies to be reproduced with minimal distortion. In use, the movement (velocity) of the speaker cone (vibrational surface) is detected, and a signal that compensates for the mechanical response of the speaker and speaker chamber is returned to the amp (feedback). This Motional Feedback technology allows the system to achieve ideal frequency response, and permits the low-frequency range to be reproduced accurately; any coloration of the sound caused by the speaker enclosure is immediately corrected. This well-regarded technique reinforces the low-end response-particularly with small speakers-and can also help to compensate for the room acoustics. Low-Range Booster - In addition to the powered speakers, a passive radiator (similar to an unpowered speaker) is used to further enhance the low-end bass component of the B1 Piano sound. This low-range booster is driven by the vibrations of the air inside the speaker cabinet, delivering rich low frequencies while adding definition and depth. Impressive Sound: - As with all digital pianos, the KORG B1 uses sampling technology (multiple digital recordings) to capture and recreate the rich, vibrant tone of an acoustic piano. As sampling technology has continued to improve-and as digital memory components have become more abundant-the KORG B1 Digital Piano is able to deliver a more accurate, authentic, and expressive sound than instruments of just a few years ago. Eight Expressive and Highly-Detailed Instruments Sounds - In addition to capturing the enormous tonal range of a grand piano, the meticulously-sampled sounds created for the B1 Digital Piano also reproduce the sympathetic string vibrations and damper resonances that give the piano its character. Three flavors of acoustic piano are provided; the B1 Digital Piano also provides two electric pianos, a harpsichord, and two organ sounds-each delivered with precise realism. 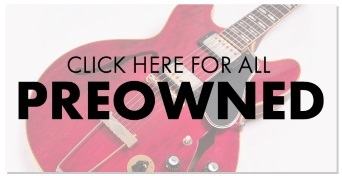 This generous set of frequently-used sounds allows any player to expand their repertoire to cover many musical genres. The dedicated PIANO PLAY button instantly recalls the Concert Grand Piano sound. Onboard Effects - Each of the B1 Digital Piano sounds can be enhanced using the onboard Reverb and/or Chorus effects. Reverb adds depth to the instrument sound; chorus adds an organic sense of motion. Each effect can be added individually to achieve just the right sound for your performance. Accurate Touch and Feel: - To the novice or accomplished pianist, nothing is more important than a satisfying and authentic keyboard touch and feel. NH Keyboard - The B1 Digital Piano is equipped with KORG's NH (Natural Weighted Hammer) keyboard action. This Natural Weighting provides a heavier touch in the lower registers, transitioning to a lighter touch in the upper regions-just as on a traditional piano. The dynamic response of the keyboard can be set to match the playing style of any performer. Rugged Damper Pedal - The metal damper (sustain) pedal provided with the B1 Digital Piano provides a reassuring stability and a great feel underfoot. While the single damper pedal is ideal for many pianists and performers, an optional three-pedal unit (PU-2: separately sold accessory) is available for the piano purist. 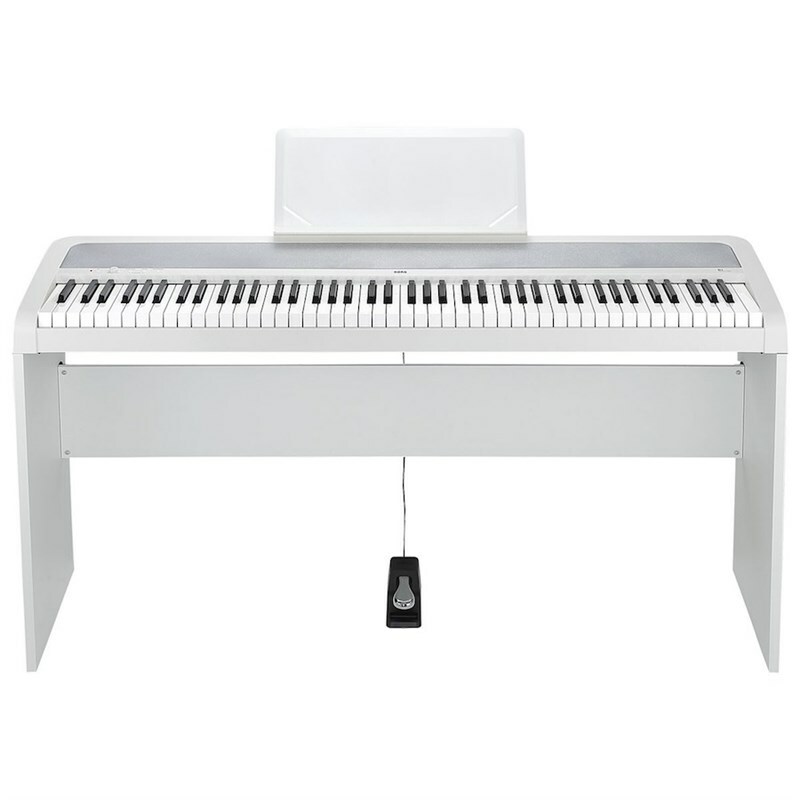 Ideal for Lessons: - Numerous features have been added to the B1 Digital Piano that make it the perfect choice for lessons and for private practice. Connecting a pair of headphones will mute the internal sound system to allow individual enjoyment. The tuning can be adjusted to quickly match another instrument or recording; the keyboard can be transposed into any musical key. Improve and reinforce rhythmic aptitude using the built-in metronome. The tempo and beat can be easily adjusted.